Distributed By: MGM/UA Entertainment Co. When you spend years only reading and hearing about a film instead of actually watching it, you draw up a lot of misconceptions. For example, I built a whole ideal around 1982’s Poltergeist being a movie of supernatural hauntings in an idyllic suburbia which would both be very dark, and very disturbing. I didn’t really factor in the possibility that with this being a Stephen Spielberg movie - and all the whimsical thematics that come with that - it’d actually be a bit light-hearted, too. But that’s exactly the formula that this paranormal thriller serves up. Even in the midst of its spookier moments, which are still just as enjoyable as they are dated, a curious hint of wholesomeness persists at its core. If it weren’t for some enduringly grisly special effects, a thunderously harrowing climax and a certain franchise by the name of Ghostbusters, it could even be considered the most family-friendly tale about malicious spirits that there’s ever been. But fanciful and antiquated as it is, it’s still damn good fun, retaining enough jolting moments and suspense to show why it’s still considered such an influential horror movie to this day. And make no mistake - it’s definitely a Spielberg movie. Even if he shows up on the credits as producer with Tobe Hooper in the directing chair, accounts from the time certify that it was Spielberg himself calling the shots. It certainly shows too, if the larger-than-life American family at the center of its tale is anything to go by. Think E.T or Close Encounters of the Third Kind, and you wouldn’t be too far off with the charmingly offbeat disposition of this spookfest’s focal family unit. More’s the pity that they lost the script lottery here. 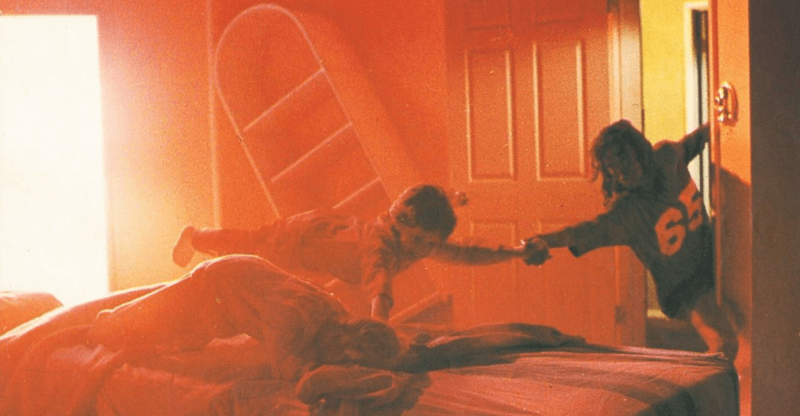 Compared to Spielberg’s other efforts, the monsters that Poltergeist has in store for them are certainly less benevolent than the harmless aliens their other film counterparts got. 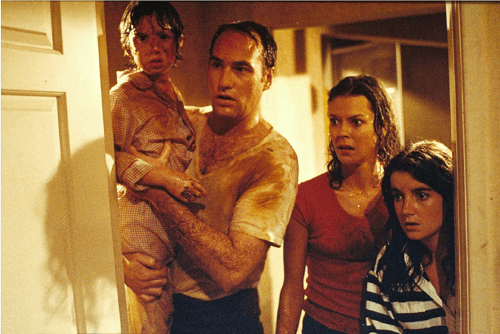 But such is the eventual plight of the Freelings - father Steve (Craig T. Nelson), mother Diane (JoBeth Williams) and their kids Dana (Dominique Dunne), Robbie (Oliver Robins) and Carol Anne (Heather O’Rourke), who have recently moved into the white-picket tranquility of Cuesta Verde, California. While Cuesta Verde itself is still under development - with property constructors shifting even the likes of cemeteries around to accommodate for new houses - the Freelings have wasted no time adjusting to their new suburban life, right down to the frequent petty squabbles with their neighbours. A prime example of this bickering even reveals itself in the very beginning, with Steve absolutely certain that his neighbour, Ben Tuthill (Michael McManus), is flicking channels on his TV while he and his buddies are trying to watch the weekend’s big football game. Little does Steve realize at this time that it might be the television itself causing all the mischief - but through the strange behaviour of his youngest daughter Carol Anne, his family will find out soon enough. Long after the final broadcast of the day is done and the Star Spangled Banner has played out, Steve and Diane have begun to find Carol Anne having conversations with something behind the overnight static of the television. Any doubt that their house has come under the influence of a paranormal entity is then laid to rest when Diane finds chairs moving and stacking themselves in the dining room without explanation. Although the family is initially amused by these ghostly stunts, the happenings become more frequent - and more pernicious. The house is suddenly hit by an earthquake as a ghostly arm lunges out of the television, before the backyard’s tree comes alive, smashing through Robbie’s bedroom window in an effort to attack him. But before Steve can even come to rescue Robbie, Carol Anne is targeted as well - sucked through a portal in the closet. Although Robbie himself is ultimately freed from harm, Carol Anne’s disappearance - with the family only able to reach her through her cries for help from behind the static of their television - keeps the family under the grip of this woken supernatural evil. With no option but to bring a team of paranormal experts into the household, Steve and Diane face a fight of extra-dimensional proportions to get their daughter back. And what the team will reveal about this ghostly entity’s real motive will not only have repercussions for the Freelings, but also reveal darker, horrifying secrets about the neighbourhood too. 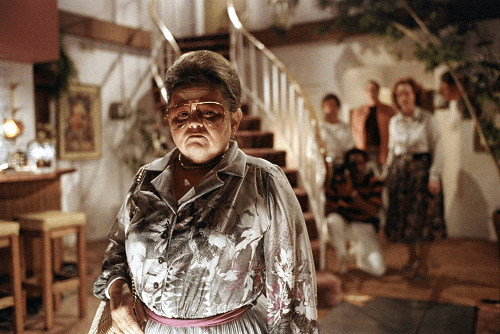 Initially though, Poltergeist has a fight of its own to keep its now dated mix of supernatural scares and sitcom-family dynamics from coming across as corny. Fortunately, while some elements have certainly aged for the worse, its enduring originality and the energy of the cast involved are more than enough to keep it going. Its pacing does occasionally feel off, but the film retains an uncanny ability to know exactly when to raise the stakes - meaning that its sense of atmosphere is always on-point. This sense of awareness is also shared by the acting talent too. 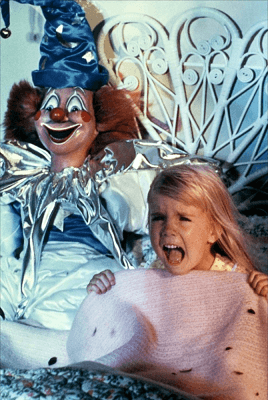 As Carol Anne, young Heather O’Rourke became an 80s name primarily because of this very film, and her performance still stands out, especially during her creepy conversations with the mysterious force in the television at night. It’s the parents of the family who carry the film though, and both Craig T. Nelson and JoBeth Williams, both already seasoned TV actors at this point, put in fine performances here. Even if they do ultimately amount to being two helpless figures who simply react to every new scare that their house’s new guest brings forth with increasing bouts of terror and dread, they’re still a memorable compliment to the paranormal horrors that Poltergeist comes to thrive on - and needs as it draws closer to its climax. Indeed it’s the randomness of Poltergeist’s frightening moments - which, again, there are less of these days due to the passing of time alone - that keep it from growing too sedate. While its ounce of light-heartedness might hint that it’s more of a black comedy, this movie is most definitely a suspense thriller at its core. Unfortunately, it’s the kind of suspense that burns itself into the heart of the movie at a snail’s pace. Even with the introduction of the paranormal experts that the Freelings hire to try and ride the house of their new-found menace, there’s an awful lot of time in-between Poltergeist’s actual scary moments where it feels like not much happens. So it’s all for the better that that the actual timing of these shocks, delivered without any pretense or warning, provide the film’s crucial spark. Some of the special effects have lost their lustre - and certainly, the movie’s reveal of its monster’s true visage is an indicator of its almost 40-year age. But there’s still some brilliantly creative ideas on show nonetheless. It’s much easier to overlook the antiquity of it all when you’re still trying to figure out what they used to do that one shot of Diane being flung across the walls and ceiling of her bedroom. Even earlier flashpoints of the spectral hand reaching out of the television, or one of the paranormal team watching his face rot in the bathroom mirror is good cheesy fun. Whether or not it succeeds overall as a horror - and that’s still up for debate before its tremendous final chapter - Poltergeist is still a technical masterclass for its time. Hardly surprising considering the brains behind the whole thing in the first place. Spielberg and Hooper save the best for last, too, delivering an ending that ensures the film cements its place in horror film lore. In fact, Poltergeist’s climax - as the Freelings’ house disintegrates under a deafening, unstoppable torrent of undead rage - reveals itself to be quite a clever ploy. After masquerading for over an hour as a solid ghost story with a few decent spooky bits, it’s suddenly apparent that anything that came before this final confrontation was just the slow, rumbling approach of a storm. It’s even alluded to as such, with Steve giving his son Robbie in-movie advice on how to know when such frightening thunderstorms are beginning to pass. Nothing could have prepared either them, or viewer, for the realization that the true force of nature was yet to bring itself upon them. But either way, it’s still just as much of a rollercoaster as it ever was back then. As a whole, Poltergeist might not share the same status, but it still has status as a worthy milestone in the world of supernatural horror. Poltergeist is available for streaming on Amazon Video.